Erik Guay does it again! After winning gold and silver at the recent world championships in Switzerland, our very own Erik Guay skied to a 3rd place finish at a World Cup men’s super-G today in Kvitfjell, Norway. A third podium finish for our Athlete Ambassador. Go Erik!!! Incredible! Our Athlete Ambassador is a true inspiration for young canadian skiers. Four days after winning gold during the super-G event, Erik Guay earns a silver medal for his downhill performance. The 35 year old skier marked history once again this year at the World Championships in St-Moritz, Switzerland. In the last 85 years, only three Canadians have won gold at the Alpine Skiing World Cup. 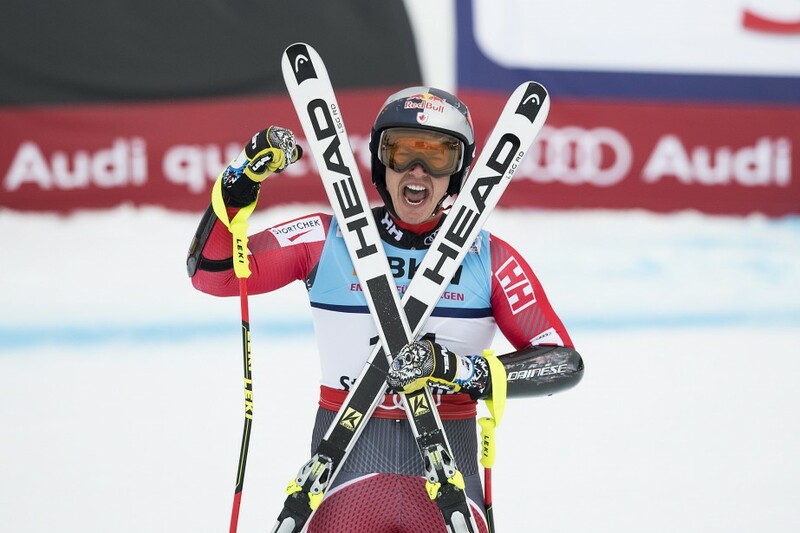 Erik Guay was crowned world super-G champion today in St. Moritz, making this his second world championship gold (the first one being for DH in 2011). Despite small fears following his spectacular fall at Garmish two weeks ago, he arrived in St. Moritz with a good game plan and was able to attack his event and take the top step of the podium. His run will forever be a part of Canadian alpine skiing history. We are so proud of our Tremblant Athlete Ambassador. BRAVO ERIK !!! Karen Guay talks about her husband, Erik Guay, the most decorated Canadian alpine skier in World Cup History.